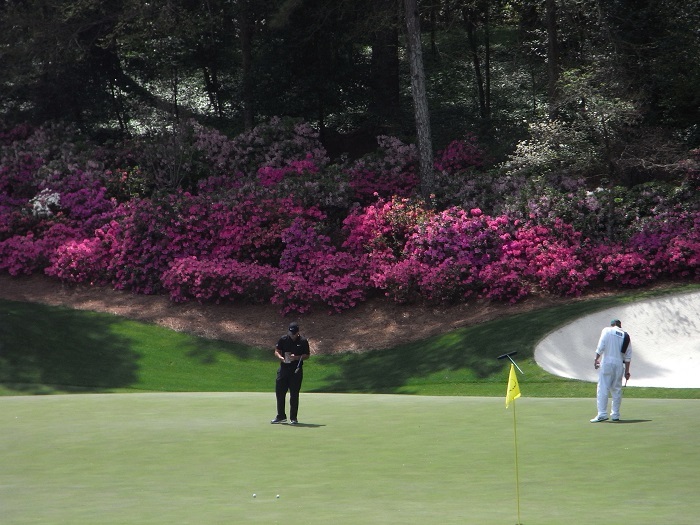 Ah well, so Rory faded away on Masters Sunday while Patrick Reed hung tough and slipped a green jacket over his azalea-pink shirt. Painful though it was, I hope Rory was watching and learning. He wants one of those green jackets more than anything, for itself and also because once he has one, he’ll also have a grand slam. But Augusta is not an easy course to crack. The likes of Ernie Els, Greg Norman and Lee Trevino, multiple major winners all, had their moments but never won a Masters in Georgia. They never, for all their excellence and eminence, joined that select green-coated coterie of champions. Rory may never get the chance to serve champ at the champions’ dinner but it’s too early to panic. 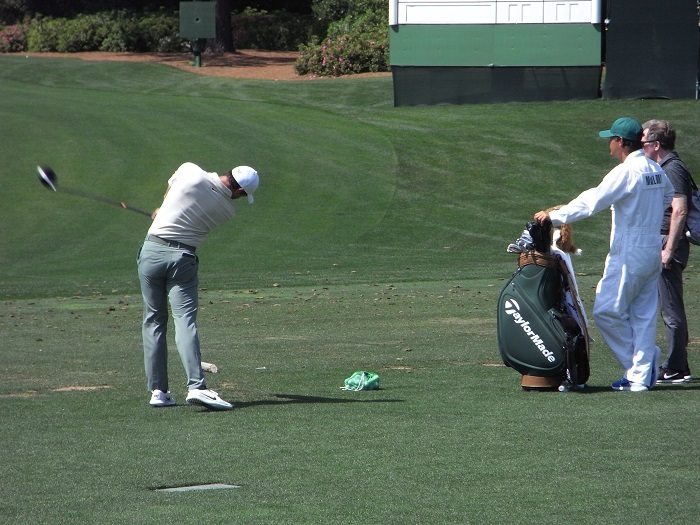 It took Ben Hogan and Sam Snead 10 goes to win at Augusta for the first time; it took Adam Scott, Ray Floyd and Phil Mickelson 12; Ben Crenshaw 13; Billy Casper 14; Mark O’Meara 15; and Sergio Garcia 19. Rory, injuries and other unforeseen circumstances permitting, will be playing his 11th Masters in 2019. He’ll need a bit of luck to win but he can also prep, prep, prep. I read somewhere that he likes to do his own thing, work things out for himself but if he has any sense, he’ll also be a picker of specialist brains: Jack Nicklaus, Tom Watson, Tiger Woods, Gary Player, Nick Faldo, Jose Maria Olazabal, Bernhard Langer, Bubba Watson – well, perhaps not Bubba – to name just a few of the men to win multiple Masters. 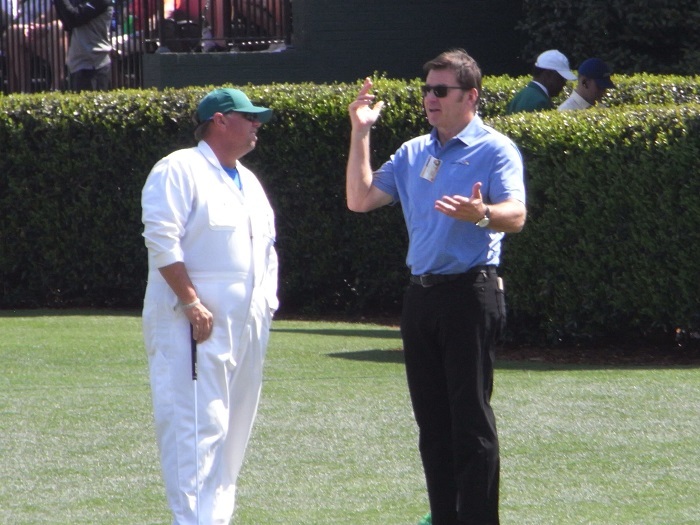 Faldo is a thoughtful analyst and was a meticulous preparer. Get him talking about his approach to different courses, Augusta in particular and he’s fascinating. He won there three times, so if he’s not a course specialist, who is? The place has been tweaked here and there but it hasn’t changed enough to render his knowledge redundant and, of course, he’s there every year. In the meantime, between Aprils, Rory can concentrate on adding to his tally of four majors – other tournaments are also available – and establishing himself as one of the all-time greats. Good and all as he is, he has quite a way to go to reach that status. Talking of Faldo, I was watching a bit of the RBC Heritage from Hilton Head Island, South Carolina and remembered how cross I was when he won there in 1984. I confess, I had to look up the date but I vividly recall my irritation! Dai and I had been at Augusta, where Ben Crenshaw had won and we were having a lovely holiday at Kiawah, with a bit of golf, a lot of relaxing and marvellous beach safaris that included trekking into jungle that was home to huge, primeval alligators. “Faldo’s doing well at Hilton Head,” Dai said, perusing the paper. “That’s nice,” I said. Next day: “Faldo’s still going well.” “Is he? Good for him.” Next day: “We’ve got to go. He’s still doing well.” So we cut short our Kiawah idyll and headed to Hilton Head, which, admittedly, is not too much of a hardship. And, fortunately, Faldo won, so it was worth the detour. Not that he was particularly glad to see us, launching into Dai as soon as he saw him, demanding to know what his Masters headlines had been. “You what?” In those pre-internet, pre-mobile, prehistoric times, we didn’t have a clue. Turns out Faldo had been told that the papers back home had labelled him “Nick Foldo,” or some such. He’d started the last round level with Crenshaw but had a 76 to the American’s 68 to finish eight shots adrift. Five years later, Faldo would become the first Englishman to win the Masters and he’d win again in 1990 and 1996. And, try as we might, we could find no record of the Foldo headline. Still, nothing like fury to fuel the competitive fires. Just across the water from Hilton Head is Daufuskie Island, which can only be reached by ferry, a journey of about 40 minutes. “It’s my decompression chamber,” one regular visitor said, as all the cares of the mainland fade away. The golf courses on Daufuskie include two crackers in Haig Point, pretty exclusive and Bloody Point, more accessible and to the bafflement of the locals the source of much amusement to visitors from the likes of Ireland, the UK and Australia, where the linguistic traditions are, shall we say, coarser. 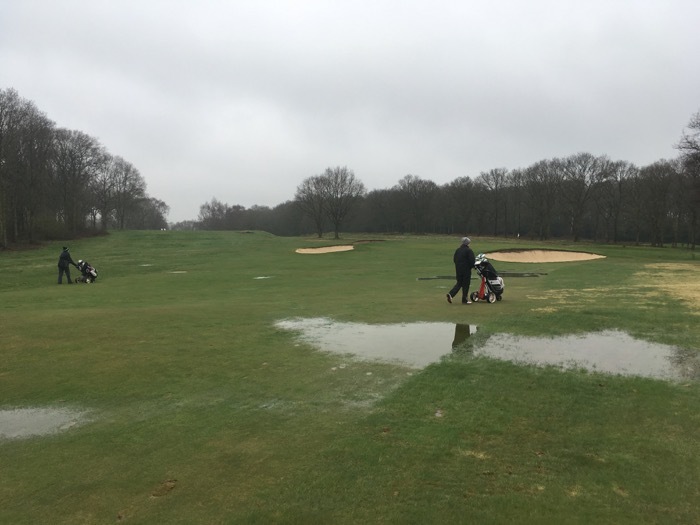 A rare sight: water lying at Whittington Heath GC but we were still playing. When you think about it, Bloody Point really is the perfect name for a golf course. We bought our friend, who could sometimes be frustrated and irascible on the fairways (like the rest of us), a Bloody Point cap to which we added velcro and a couple of golf-related attachments: What’s The; No….you get the drift. Well, it made us laugh – like drains, I confess. 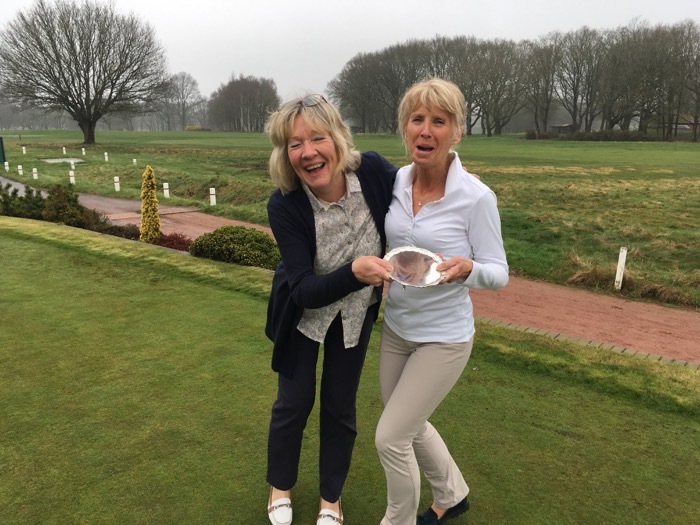 There’s been golf at Whittington despite the deluge but our ladies’ captain probably wishes her match against the ladies’ vice had been washed out altogether instead of reduced to 9 holes. As so often, vice triumphed going away. Another rare sight but not a rare occurrence, with vice (right) grabbing the silverware.